You recently completed your studies. Where has life taken you since then? Mario Steiner: I have been working for 3XN Architekten in Copenhagen since October. Corinna Maigler: To BAP Architekten & Ingenieure in Berlin. Patrick Stumbauer: After spending a bit of time out abroad, I returned to Upper Austria and now work at a relatively ‘young’ office - TWO IN A BOX Architekten. 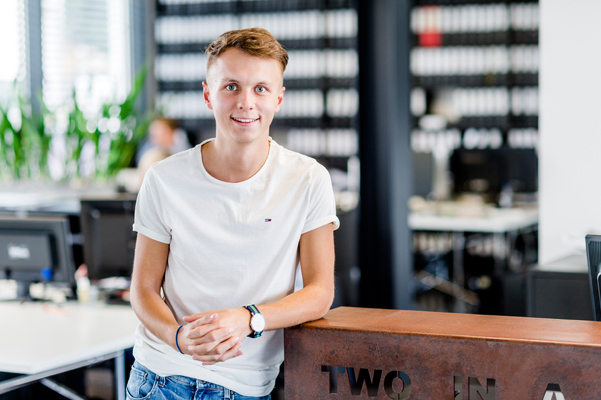 Mario Steiner: First I decided to go to Copenhagen and then applied to the best-known offices. I quickly received a response from 3XN and had an interview with them over Skype. I was then able to start work immediately. I was very surprised by how quickly it all went. Corinna Maigler: I deliberately chose a small office, in this case with 15 employees. I am able to work independently across work phases 1-9 (as defined by the HOAI fees schedule) but also handle projects relating to listed and new buildings. Patrick Stumbauer: When looking for a suitable office, the key things were the fields of competition and design, a young and small team and a type of architecture where I can reflect myself. In which field of architecture do you work? Mario Steiner: I am working on two different projects. The first project is in Stuttgart: the shell of a dual university is in the execution stages and I am working on the project together with a colleague. The other project is in Bielefeld and will form the new headquarters of the Schüco company. We are now at the planning application stage. Depending on the level of urgency, there are around five of us working on this project. Corinna Maigler: I work across all the work phases. These range from concept design to new buildings, building renovation, project management and documentation. The focus of the projects is on buildings for office and commercial use, workshop buildings and residential buildings. 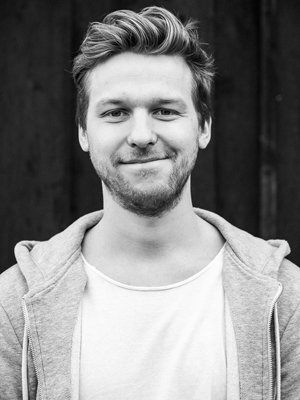 Patrick Stumbauer: I primarily work on competitions along with submissions, detailed planning and execution. What is your everyday work in the office like? Mario Steiner: I primarily collect information from technical planners and incorporate this into our plans. Corinna Maigler: In addition to handling the daily phone calls and emails with clients, the authorities and companies, I also compile service specifications, prepare as-completed, design and execution drawings, check invoices and tenders and take part in various meetings and building inspections. Patrick Stumbauer: There is no everyday routine: every day is different. I essentially work on competitions, i.e. developing ideas and innovative solutions. I also handle projects in the development phase. I am currently working on a project which is just about to be implemented. This means, for example, developing the details and holding discussions with technical consultants. How specialist or generalised is your work? Corinna Maigler: My working life is rather generalised because I work across all the work phases and the individual projects differ greatly in terms of their scale, coordination and structural features, despite the focus on office and commercial buildings. Patrick Stumbauer: Nobody in the office works on just one project or project phase. Despite that, everyone of course has individual preferences, specifications, strengths and weaknesses. 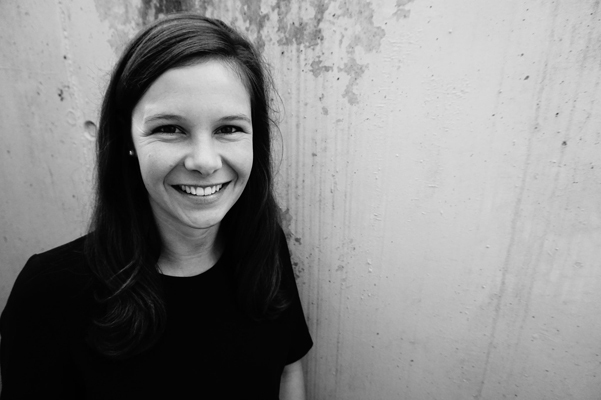 Corinna Maigler: The design stage – unfortunately the rarest part of my everyday work in the office. Patrick Stumbauer: My everyday work in the office is usually hectic. So I like to put in my earphones, turn the music up and scribble down ideas – I forget what’s happening around me and focus completely on the design. From developing the basic idea to tackling the layout and graphical design for the submission – and finally waiting for the decision – it’s all fun and triggers a lot of adrenaline! Have you learned any new methods of working? Mario Steiner: In general, a great deal of importance is placed on the work-life balance in Copenhagen. I usually ‘only’ work between 38 and 43 hours a week. I am convinced that this increases focus and efficiency. Patrick Stumbauer: Of course, you always learn something new. Disciplined and systematic working has always been the greatest challenge for me. How does your everyday working life differ from your student life? Mario Steiner: More money in my account and to an extent, a more regulated everyday life. In some ways, I can switch off better after work. During my studies, I still had in the back of my mind everything I had to do. Corinna Maigler: It is different in many ways. The projects I am handling largely pick up at the point where I would have considered them finished during my studies. The concept of ‘thinking an idea, design or detail through to the end’ often falls by the wayside in everyday working life due to time or budgetary pressures. One thing which has stuck with me and which I find great is working as part of a team and constantly exchanging ideas with colleagues and my team leader. Patrick Stumbauer: Everyday life today is characterised by the fact that every single step has a certain responsibility associated with it. Often we think things through twice and check points several times. In contrast to my studies, working successfully is even more rewarding now. What do you miss the most about your studies? Mario Steiner: Sleeping in and being free to approach projects without any great obligation. When working on a project during your studies, you usually make all the decisions alone or with team colleagues. In the world of work, making decisions is much more complex. Corinna Maigler: The semester holidays, my fellow students and the option to design freely and without any budgetary constraints. Patrick Stumbauer: I mostly miss my colleagues and our time together. Some project partners have repeatedly challenged me, which has led to some great projects. And of course, the issue of free time was different from how it is today. What knowledge and skills acquired during your studies do you still apply today? Mario Steiner: Definitely the technical background knowledge which I have constantly expanded. Corinna Maigler: Compiling neat and tidy drawings: in particular execution and detail drawings, 3D visualisation and design layouts. Patrick Stumbauer: I attended an academic secondary school so I had less technical training than many others. I notice every day how important technical expertise is. Basic knowledge in most of the work phases helps me every day and thanks to my studies, I am able to keep up. Corinna Maigler: Completing the first project I led by myself. Patrick Stumbauer: Winning two competitions. How will you continue and what are your goals for the future? Mario Steiner: So long as it’s fun working in Copenhagen, I will stay. In the long-term, my journey will probably take me back to Austria. Corinna Maigler: My first aim is to gather lots of experience by handling lots of different projects across all work phases so that I can register with the Chamber of Architects. Patrick Stumbauer: At the moment, it is important to me to learn as much as possible. I also try to take part in as many competitions as possible as well as gaining fundamental experience in the implementation side of things. I don’t know yet whether I will brave the step to self-employment at some point. Would you choose the Architecture course at FH JOANNEUM again? Mario Steiner: I would definitely take the same path. Information on the work phases: The work stages as defined by the HOAI fees schedule (short for ‘Honorarordnung für Architekten und Ingenieure’ – structure of fees for architects and engineers) classifies the work of architects and engineers. Starting with work phase 1 for establishing the basics, it also covers preliminary design, final design, planning application, execution drawings, preparation for contract placement, assisting with contract placement and project supervision, right up to work phase 9 – project management.